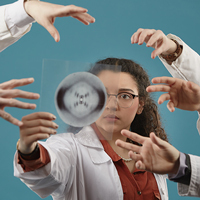 A humorous and moving portrait of Rosalind Franklin, one of the great female scientists of the twentieth century, and her fervid drive to map the contours of the DNA molecule. A chorus of physicists relives the chase, revealing the unsung achievements of this trail-blazing, fiercely independent woman. 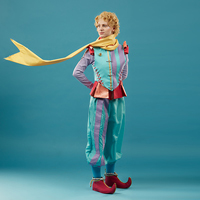 The Conservatory of Theatre Arts presents "The Little Prince" March 29-30 on Stage III. Written by Rick Cummins and John Scoullar and adapted from the book by Antoine de Saint-Exupery, "The Little Prince" tells the story of a world-weary and disenchanted aviator whose sputtering plane strands him in the Sahara Desert and a mysterious, regal "little man" who appears and asks him to "Please, sir, draw me a sheep." For tickets, call (314) 968-7128. The Webster University Conservatory of Theatre Arts presents "By the Way... Meet Vera Stark" Feb. 13–17 and Feb. 20–24 in the Emerson Studio Theatre. The story draws upon the screwball films of the 1930's to take a funny and irreverent look at racial stereotypes in Hollywood. 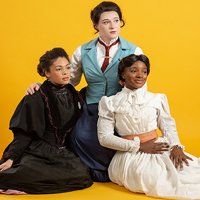 The Webster University Conservatory of Theatre Arts presents Chekhov's "The Three Sisters," as adapted by Sarah Ruhl, Nov. 28-Dec. 2 and Dec. 5-9 in the Loretto-Hilton Center's Emerson Studio Theatre. Trapped in a provincial Russian town after the death of their father, three sisters lament the passing of better times and long for the excitement of Moscow. For tickets, call the Fine Arts Hotline at (314) 968-7128. The public is invited to the Webster Conservatory production of "Fahrenheit 451." Ray Bradbury’s classic drama is a timely and suspenseful journey, Fahrenheit 451 is a dystopian tale about the importance of reading and thinking for oneself. The production will take place at the Browning Mainstage Theatre Nov. 14-18 at 7:30 p.m., with the Sunday production at 2 p.m. Free admission is offered to Webster Students, Faculty, and Staff with a valid ID. $15 for adults, $7 for seniors, alumni, and non-Webster students. $2 for children 12 and under. 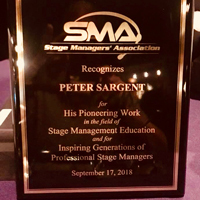 Peter Sargent and Webster University’s Stage Management program were honored at an awards ceremony held by the Stage Managers’ Association (SMA) in New York City. The dean of Webster's Leigh Gerdine College of Fine Arts received the first SMA special award for Achievement in Stage Management Education for “inspiring generations of professional stage managers.” He was introduced by alumna Julia Jones '89, who was stage manager for SpongeBob SquarePants: The Broadway Musical. 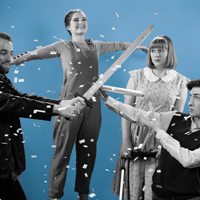 The Conservatory of Theatre Arts at Webster University opens its 2018-19 season with "The Fantasticks," an allegorical story that focuses on two young lovers, their meddling fathers, and the journey we all must take through adolescent thrills. Performances run from Oct. 3-7 and Oct. 10-14. 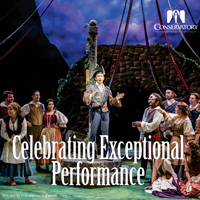 To reserve tickets, call the Fine Arts hotline at (314) 968-7128. 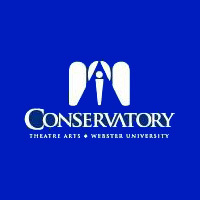 The Conservatory of Theatre Arts in Webster University's Leigh Gerdine College of Fine Arts announces its performance schedule for the 2018-19 academic year, beginning with "The Fantasticks." Click through for performance dates and scheduled shows. 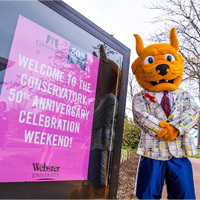 A celebration weekend for Webster University’s Conservatory of Theatre Arts 50th anniversary was held at the main campus April 20-22. Over 250 alumni Conservatory alumni and their guests took part in the festivities throughout the weekend, reconnecting with friends and faculty, and celebrating 50 years of great theatre. Click through for photos and video highlights from the event. 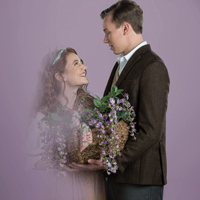 The Conservatory of Theatre Arts at Webster University presents the whimsical love story "Brigadoon," where two New Yorkers find themselves lost on vacation in the Scottish Highlands. 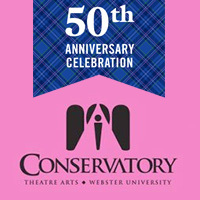 "Brigadoon" will run from April 18-22 and is one of several events celebrating the Conservatory's 50th Anniversary Season. 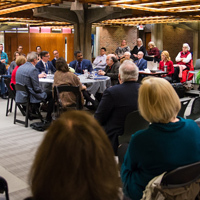 An experts roundtable hosted at Webster University is featured in the St. Louis Business Journal, with arts leaders from across the region discussing the impact of the arts. 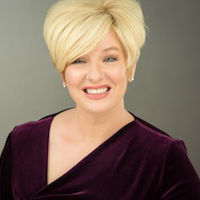 ... A guest commentary by Tony Award winner Terry Schnuck highlighted how "arts are good for business," noting the many Webster alumni who've made their mark. ... The cover of the Ladue News this week features the Conservatory 50th anniversary with quotes from Dottie Englis. ... President Stroble is interviewed in the Post-Dispatch's "Advancing St. Louis" series. The Conservatory of Theatre Arts in Webster University's Leigh Gerdine College of Fine Arts presents the directing capstone project, "Fly By Night," a star-crossed prophecy filled with music on Stage III April 6-8. Twenty-five percent of the nominees for the 2018 St. Louis Theater Circle Awards had ties to Webster University, and this week we learned that several faculty, alumni and a current student were among the winners. Congratulations to faculty Lara Teeter and Debby Lennon, alumni Jim Butz, Peter and Margery Spack and Sydnie Grosberg Ronga, and current student Evan Addams.